Liberty Park, in the heart of Salt Lake City, offers something for athletes, families, and everyone in between. 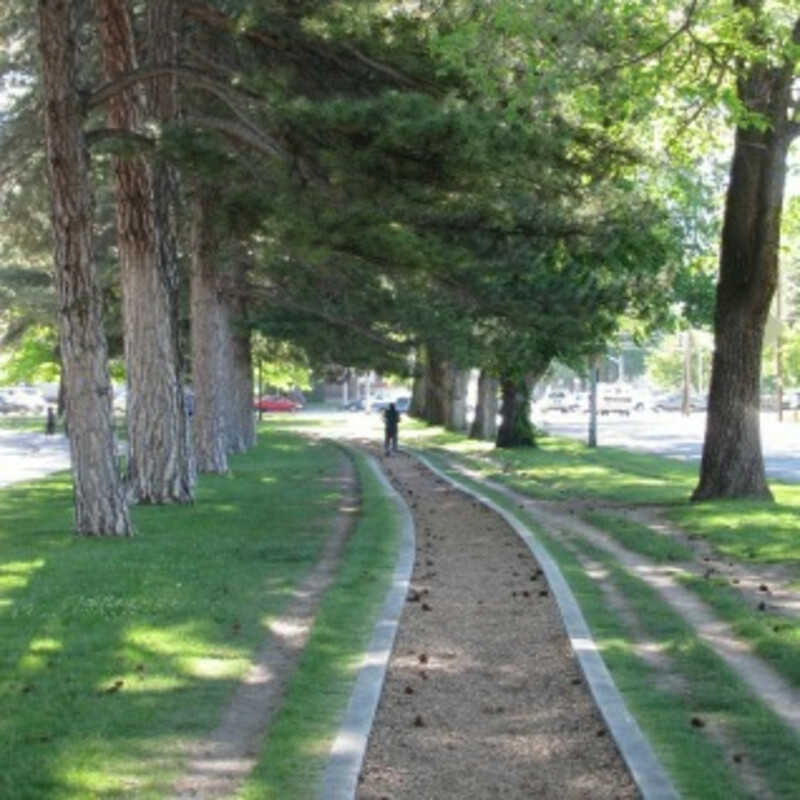 Liberty Park was founded in 1882 and has thrived ever since in the heart of Salt Lake City. The 100-acre area is a favorite for walkers, runners, cyclists, families, dog owners, and the occasional barbecue king. Liberty Park is the proud home of the Tracy Aviary, a beautiful exhibit of birds and their habitats along the Western Hemispheric Flyway. The park also features a public swimming pool, volleyball pits, tennis courts, basketball courts, a rent-able pavilion, and a gorgeous lake. A block east, between the baseball fields, dog owners can let their pets off-leash in the Herman Franks dog park. Liberty Park's main running trail is a loop around the perimeter of the park. Cars are directed one-way around the loop and park on the inside of it, but runners have a paved trail, a chip path, and right of way. At the south-east corner of the loop, you'll find a water fountain that's people- and dog-friendly. The interior of the park is a network of trails that circle the Aviary, the museum, the swimming pool and tennis courts, and meander through gazebos and stands of trees. 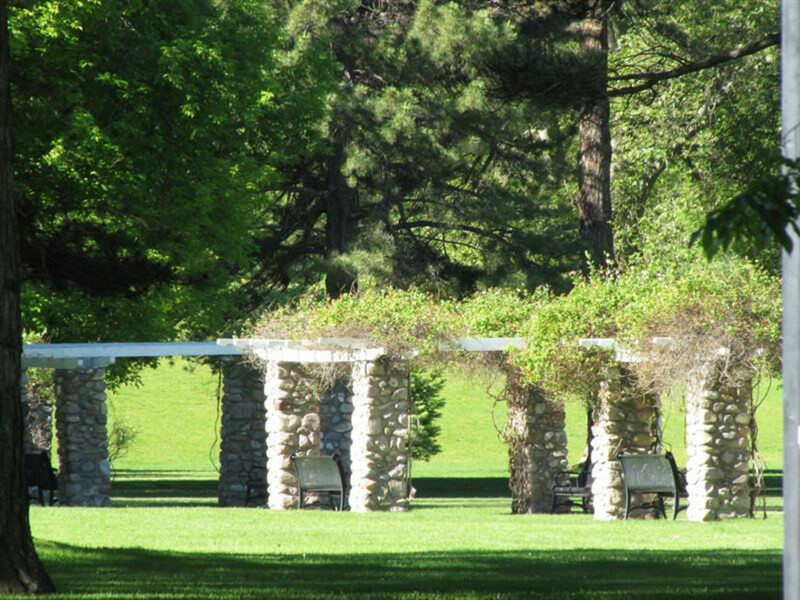 There's plenty of shaded grass for a post-run nap, plus space for a hammock or slackline, as well as picnic tables and grills. Most weekends, the park hosts local events, from fund-raising walks or runs to national volleyball contests. At the center of the park there’s a concessions area featuring food and fair-style rides. Among others, the area features a small Ferris wheel and a merry-go-round. Operating hours are 11am to 7pm Monday through Sunday during the warmer months. The Seven Canyons fountain, also located near the center of the park, is open daily from the beginning of Memorial Day weekend through the closing of Labor Day weekend from 10am to 7pm (weather permitting). 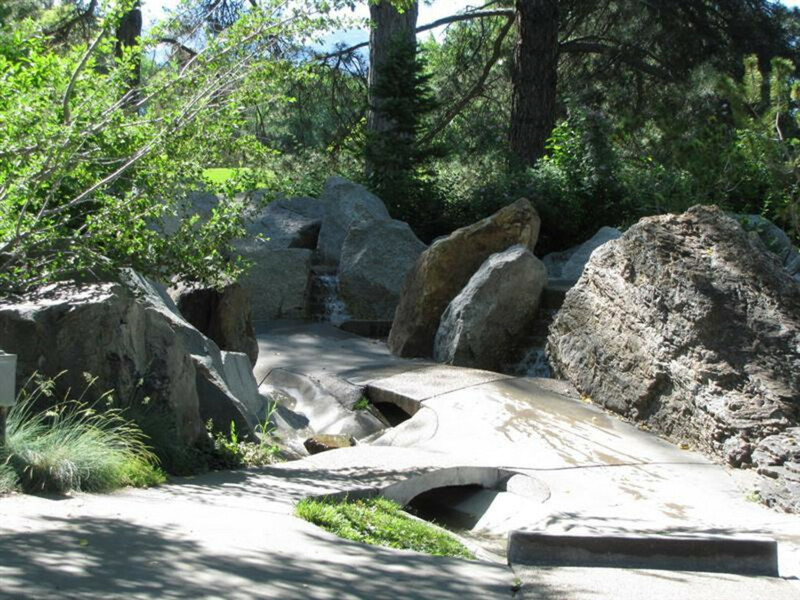 This area contains several man-made water features—perfect for the kiddies to jump in and cool off during the hot summer months. Swim diapers required for untrained children, and children are asked to please stay off of the waterfalls and rocks for safety. 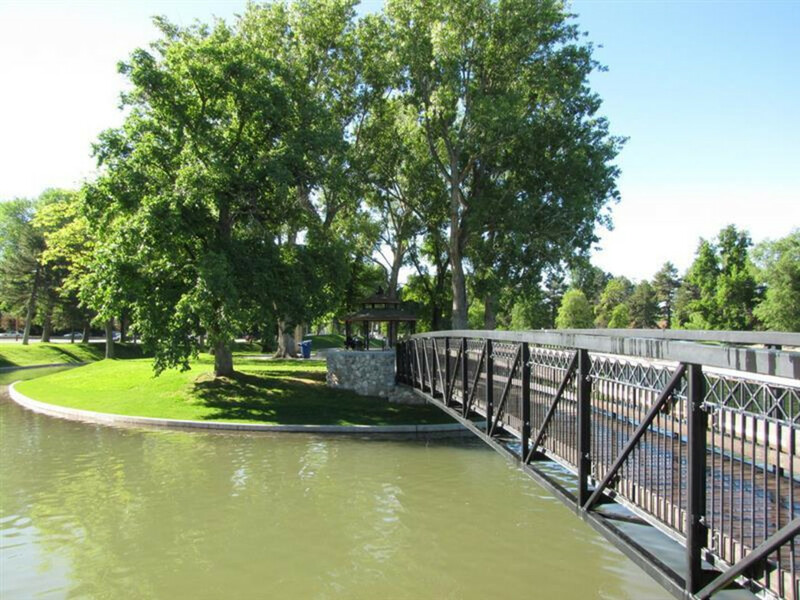 Liberty Park’s goal is to provide a fun, relaxing environment for people of all ages. It’s especially nice for folks who don’t have time to get out of the city much. Liberty Park is super-easy to find. It occupies an eight-block area just minutes from downtown Salt Lake City. The easiest way to get there is to take 700e to 1300s. The main entrance is at the 600e block on 1300s. The road through Liberty Park starts here and wraps all the way around the park. Parking is available anywhere around the park’s inner perimeter, and is always free. 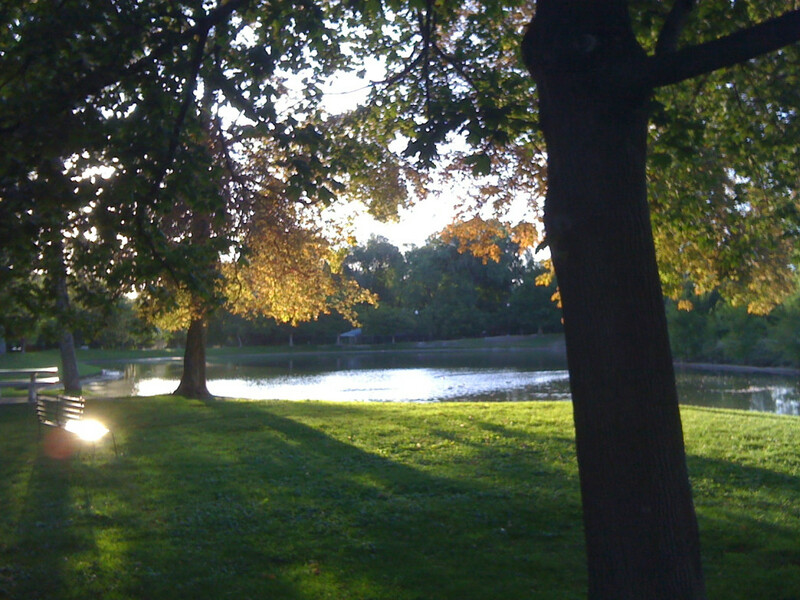 The park doesn't close, but, as with any city park, it’s most enjoyable during the day. Across the street from the northwest corner of the park, you can get a great cup of locally-roasted coffee at Beans&Brews (their house blend is the best). Or try the Park Cafe, directly across the street from the south exit - warning: get there early or post-brunch. Park Cafe is a local hotspot. Just north of the park, you'll find Trolley Square, which houses Whole Foods, several upscale restaurants, boutique shops, and a movie theater.